Shirts With Random Triangles: Brady Hoke apologizes for stake-planting incident at Saturday's Michigan-Michigan State game. 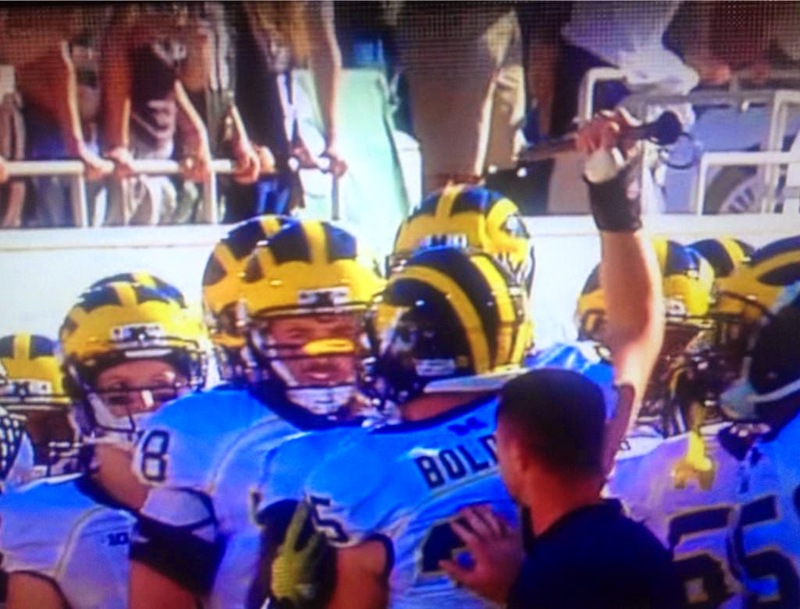 Brady Hoke apologizes for stake-planting incident at Saturday's Michigan-Michigan State game. The "Michigan Stake" before being planted in Spartan Stadium Turf. Via Mike Wilson. Michigan linebacker Joe Bolden decided to plant a stake into the turf on the field before the start of the Michigan-Michigan State game. This was an unfortunate decision, considering that a) Michigan St. are nicknamed the Spartans, and b) Michigan St. has defeated Michigan in six of the past seven meetings between the two in-state rivals. The outcome: The Spartans slaughtered the Wolverines 35-11. The win was capped off a decision by head coach Mark Dantonio to go all-out Steve Spurrier with a late 4th-quarter touchdown, which he admitted was in response to the spiking incident. Michigan head coach Brady Hoke released a statement apologizing for the spike incident on Sunday afternoon. He also admitted that the spike was initially presented to the players at a team meeting during a motivational speech the night before the game. The incident should end any doubts as to whether Hoke will be fired at the end of the season. It's now just a question as to whether Michigan will let him finish out the season as head coach.